Have you ever gotten lost in some artwork? Sometimes the paintings just draw you in, and you forget that the outside world exists. But other times, it’s a little bit simpler than that–sometimes, you wander away from your group and realize that you are, well, lost. That was my experience at The Minneapolis Institute of Art—but I was perfectly content with being both the literal and figurative definition of lost. The Minneapolis Institute of Art is more commonly known by residents of Minnesota as the MIA. It was founded in 1883, and remains one of the largest arts educators in Minnesota. With 89,000 objects in its permanent collection, the museum is a center for culture and history. And best of all? The museum is free, every day, all day. The museum is located at 2400 Third Avenue South, Minneapolis MN 55404, just blocks from downtown. From the outside, the building is adorned with columns and statues, that welcome its guests. The steps leading up give a sense of grandeur to anyone who enters. Through the front doors, you will enter the atrium, showing the three floors worth of things to explore. The Institute became one giant maze as we explored the different rooms. As you are looking in one room, your eye would spot something intriguing in the next. It wasn’t long before you would look up and realize that you just left someone in the other room. You could just as easily get lost just gazing into paintings and forget where you were. The design of MIA doesn’t provide a clear circular path to hit up everything, which is probably what leads to the ‘lost’ feeling. Being lost isn’t always a bad thing. It encourages you to explore a little more and find new things. And that’s exactly what you should do. The third floor has the most amounts of free exhibits to explore. As you meandered through all the rooms, taking it all in, you will find inspiration in different things. For some, it is the European oil paintings. In ‘The Comtesse d’Egmont Pignatelli in Spanish Costume,’ an Alexander Roslin piece completed in 1763, the vivid details in the dresses just pop. You almost forgot you are looking at a painting and not a photograph. 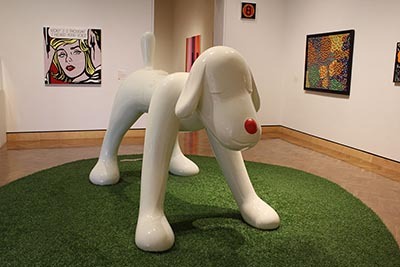 Others may gravitate towards the modern and ‘Pop Culture Art’. The colors jump at you. Things are created out of non-traditional mediums, making you gaze a little longer in order to fully understand it. This style was made popular in the 1960s and it is still prevalent in a lot of advertisements today. Some will get lost in the pictures depicting waterfronts. The waves pull you in and before long you feel as though you are on the ship sailing along. The details used to create the water and the way the light was hitting it was almost magical. 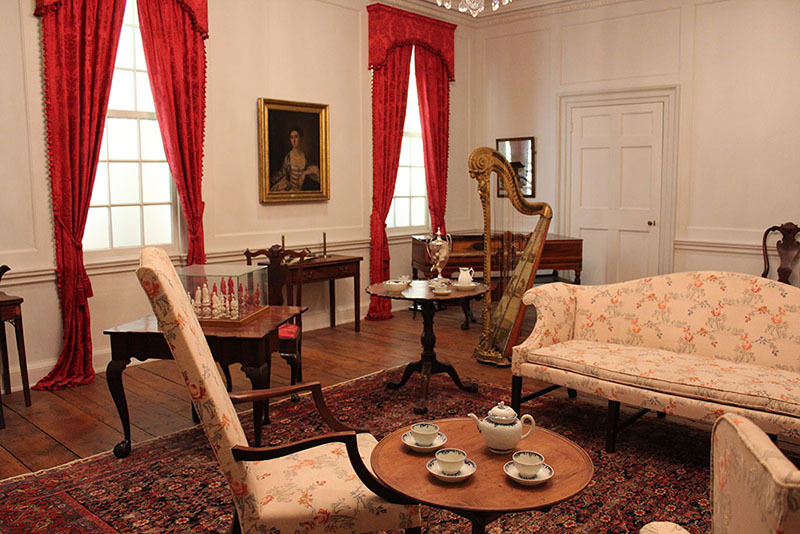 The period rooms, located on the third floor, are recreations of different rooms throughout history. Most of the rooms allow you to walk right in. The details in the wood paneling are rich. The floors matched the depicted period exactly. The tables are set with plates waiting to be eaten on, and the windows are stained glass. One of the many period rooms. Depending on the room, there may even be a view from the window. The Jane Austen room is something you pictured right out of Pride and Prejudice–the books were resting on end tables ready for the next visitor to read. Walking into the Tudor room, you could almost see Henry the Eighth sitting at the end of the table eating. The details they put into each room took you right back to that time. The period rooms were not exclusively on the third floor either. 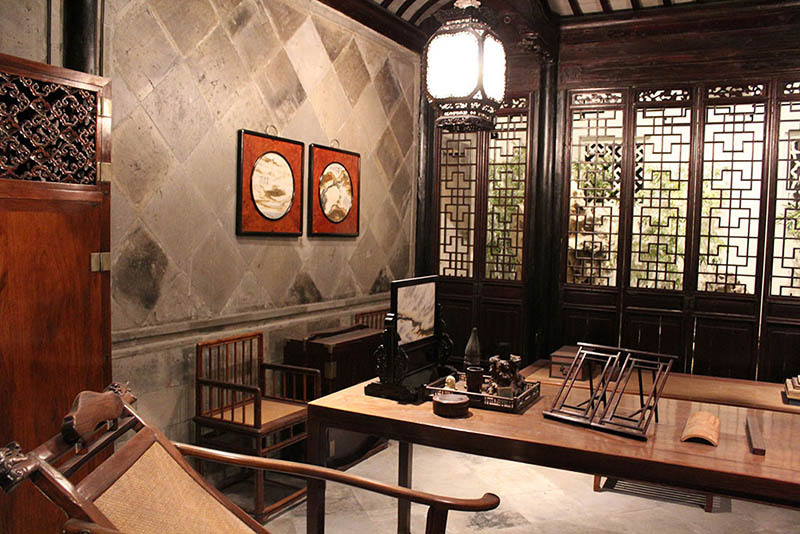 Some located on the second floor as well, depicting life in the educated class of the Suzhou region in China. You enter through the huge stone arch gate that dated back form 1728. Restored furniture provides the original settings for the rooms. You may also stumble upon some pieces of Chinese culture that we never expected to find, including cricket cages. They have a variety of different styles including smaller ones that you would use to keep your cricket in while you were cleaning the other cage. 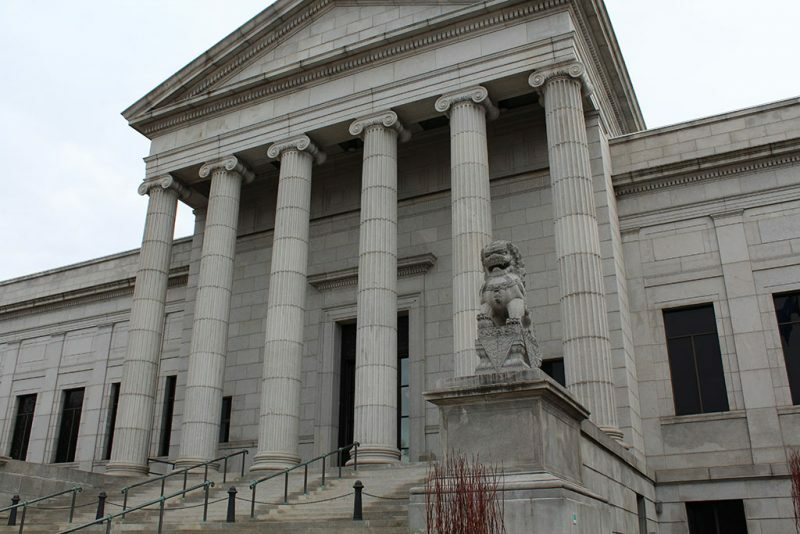 The Minneapolis Institute of Art offers a variety of different tours that range in topics and for different audiences. You can join ones that are specialized in a specific region, or select a more general highlights tour. If you do not like to travel with groups, you can do your own self-guided tour. Start off by getting a free membership at the front desk, and then request one of the audio headsets. If you have a smartphone with a web-browser, you can also follow along that way. When you reach a piece of art that you want to know more about, type in the number of the piece and follow along. I recommend getting there when the place opens. Not only will you be able to take advantage of the free street parking, but it will also be a lot less crowded. The Second Sunday of the month is Family Day. They have special programs just for kids, different adventures, local artists, musicians, dancers and story tellers. They also had a scavenger hunt. Bring a camera or a sketch book. If you are using your camera, make sure not to use a flash. Also, look for those pieces that are labeled ‘Loan’, ‘Lent by’, and Private collection’ or have another museum’s name on it. Those are the only ones that they do not want you to photograph.